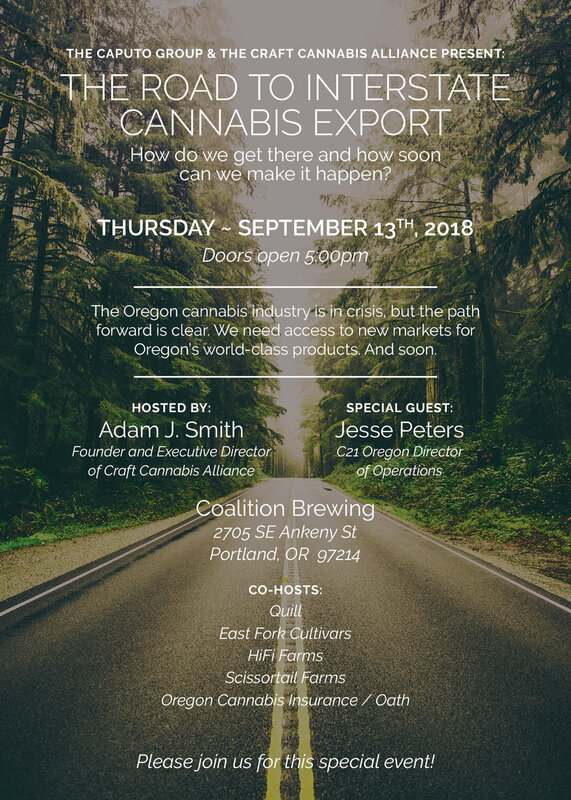 HiFi Farms is proud to join the Craft Cannabis Alliance, East Fork Cultivars, Quill, Scissortail Farms, and The Caputo Group to co-host 'The Road To Interstate Cannabis Export' event on Thursday, September 13th at Coalition Brewing. This event will be from 5pm - 8pm. Event details HERE. Join us for an evening of conversation and action, where we will present an industry-wide sign-on letter, and lay out the road to licensed export within two years. We will be joined by special guest Jesse Peters from C21 Investments as well as Adam Smith. Read more about this movement here. See you on the 13th!